According to the study “Asia Curcumin Industry Situation and Prospects Research report”, it was observed that curcumin possesses intense therapeutic, anti-oxidation and anti-inflammatory properties. Curcumin is highly-preferred in many products because it helps in regulating various transcription factors such as protein kinases, cytokines, redox status, adhesion molecules, and enzymes. Curcumin is a potential chemotherapeutic agent with anti-cancer activity and helps protect infections against activities against skin, prostate, pancreas, liver, head, neck, ovary, and lungs. All such therapeutic properties of curcumin are coupled with pharmacological security as well as cost that makes curcumin a preferred dietary health supplement. Curcumin is used for Alzheimer’s disease, cancer, and gastric ailments which indirectly drives the pharmaceuticals industry. It is frequently used in pharmaceuticals and food applications which is driving the consumption rate of curcumin as a herbal dietary supplement due to its anti-oxidative and anti-inflammatory properties. Curcumin is yellow coloured fat soluble polyphenolic pigment that is derived from curcuminoids. It is also recognized as turmeric extract. Asian consumers are demanding for personal and ayurvedic personal care products free from synthetic and harmful chemical products. Therefore, there are many vendors who are launching herbal and ayurvedic products to cater to the increasing demand for natural and organic products. The major ingredients used in the manufacture of organic products are barry grass, urucum (annatto) oil, aloevera, curcumin and green tea. Curcumin is a popular ingredient used in Asia’s organic products market. All the leading vendors in Asia’s curcumin market are increasingly focusing on creating strong brand names, offering well-established products, and exhibit long-term reliability. The vendors are increasingly competing against each other based on factors such as price, features, and product quality. 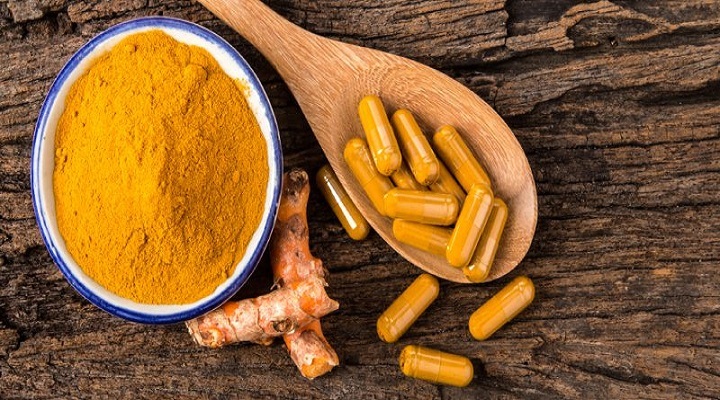 The leading vendors in Asia’s curcumin market are Synthite Ind, Sabinsa, Indena, Biomax, K.Patel Phyto, Arjuna, Naturite, Konark, Arpan, Star Hi Herbs, Guangye Natural, Zhongda Bio, Chenguang Biotech, Tianxu Biotech and Tairui Biotech. Curcumin is used in various industries such as pharmaceuticals, food, beverages, cosmetics and others. Geographically, Asia’s curcumin market is spread across China, Japan, India, Korea, Saudi Arabia and other regions. Various product types in Asia’s curcumin market are food grade, pharmaceutical grade, industrial grade and feed grade. Asia accounts for a largest share in curcumin market with India being the major consumer. Additionally, an advanced technological development in the medical and pharmaceutical industry has increased the demand for curcumin. Rapid urbanization, consumers’ awareness on personal care and increase consumers’ spending are a few factors driving the curcumin in Asia. With the increasing consumption and its wide applications in various categories, the market for curcumin will witness a drastic growth over the next few years.